Hello everyone! This may be an overdue newsletter, but hey, it's here now! It is so great to see all of you. I wasn't sure how many members I would have at first. And here you all are. 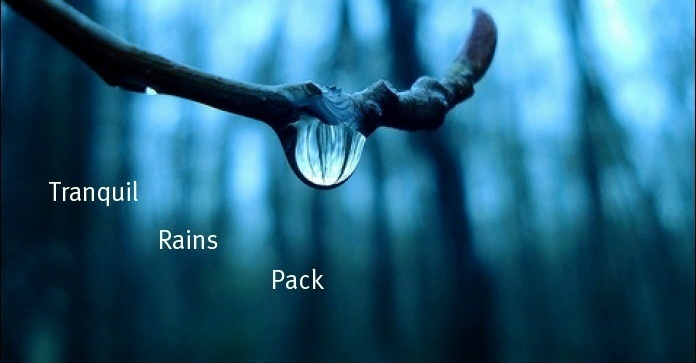 I want to welcome you formally to the Tranquil Rains Pack. I know I have been a bit inactive lately but I'm going to raise the bar now. School has been hectic. Now down to business. First off, I updated the pack hierarchy. You are all now on that topic in your respective ranks. Secondly, I have responded to most of your posts. So be sure to check on that. Also to clear confusion, I made groups for each rank with the colors on the hierarchy page. That is why your name is now a respective color. Third order of business is RP. I will have an roleplaying scenario up and running tomorrow or Thursday. Seeing as we have enough members now, we are able to start roleplaying. Woo! Next, I know Christmas is coming. And probably a few of you will be going away over break. I ask if you would just let me know as soon as possible if you will not be able to post for a little while. Therefore I can put you on EFA until you return. Furthermore, as some of you may know, I will be inactive from December 26th to January 4th. I will be away on a trip. While I am gone, I am planning on assigning someone the task of "alpha" while I'm gone seeing as we don't have an alpha male just yet. This "alpha" will just be making sure everyone stays active and enforcing the rules posted by me. This alpha will NOT be making any rules or bossing anyone around. I encourage all of you to be active on the WQ thread as well as this forum. If we don't keep the thread going, it is going to be locked. But please try to stay on the topic of the pack. Any questions you have can be posted there. Lastly, start referring your friends towards this pack. More new members will enrich this pack and make us feel like a family. We have a long way to go but I feel that we should start acting like a true pack. Just make sure you are active and please be kind to everyone here. I've seen some wise-crack and sarcastic remarks that I haven't been enjoying. Remember we are all one pack. Merry Christmas to everyone who celebrates it!! I think that every one should get to know each other so we can be more like an pack. thanks for puting up the newsletter it looks great Akera i read it yesterday.